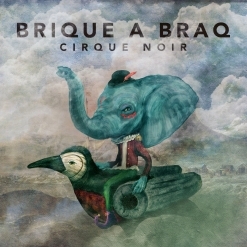 Cirque Noir is a six-song/ sixteen minute EP by Brique a Braq, the name of Derek Mount’s compositional project. Mount is an American guitarist, songwriter, composer, and producer who is probably best-known for his work with the electro-dance-infused Christian rock band Family Force 5. He has written for and played on an impressive number of releases across a broad range of music genres. His music has been used in feature films, commercials, television programs, sporting events, and corporate presentations, to name a few. As a songwriter, he has co-written seven #1 hits and fourteen Top-10 songs across various radio formats. It might seem that a sixteen-minute recording isn’t enough time to get acquainted with a composer’s music, but that isn’t the case here. The six pieces are all very different from each other and tell vivid, intense stories. It would be interesting to know which films inspired the music, but it’s also fun to create your own visuals while listening to it. Cirque Noir begins with “Pastiche,” a wonderfully mysterious piece of musical storytelling. With hints of a toy piano gone a little crazy, something nasty lurking around the corner or in the next room, and possibly someone slowly going mad, it’s a favorite! Something is not quite right in the scene depicted by “Rococo.” A repeated piano motif is mournful and compelling, and as it very gradually slows to a halt, dark and ominous sounds take us into “Une planete fantastique.” Atmospheric ambience swirls around the piano’s lively high-treble pattern before it comes back down into the mid-range of the keyboard. A howling wind brings a chill to this one. “Raplapla” has the feel of a sentimental slow dance at the beginning, gradually becoming livelier and more playful before returning to the first theme with a lighter touch. “Chateauneuf” is less melodic and more percussive than the other pieces. After a very intense beginning, it becomes almost mournful. 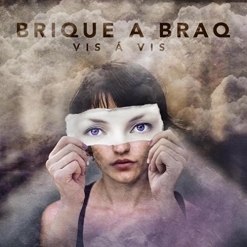 “Au revoir les anges 2” starts out with ethereal voices and very little accompaniment. About halfway into the piece, very dark and intense instrumentation comes in, indicating that something terrible has happened. The sorrowful voices then bring it to an end. It truly is amazing that so much power and descriptive storytelling could go into such a short album. I’m intrigued and look forward to hearing more of Derek Mount’s music! Cirque Noir is available from Amazon, iTunes and CD Baby. Highly recommended!